Appearance: Majority of the time, Zinnia is in her human form. She is a bit on the "short side", but tall enough to falsely convice others that she is just a normal human. In this form, she has shoulder-length white hair that is reminiscent of the sheets of winter. Her eyes are a peircing pale blue in pigment. When in the public, she hides the features that make her abnormal. However, when she's in her own solitude, Zinnia uncovers them; a white, serpentine tail, feathered wings, and small horns. Scales cover parts of her body, like her hands. At first glance, she seems like a graceful entity, like an angel. Personality: Zinnia is quite an introvert and is cautious if her surroundings. She's not afraid to defend herself if anything happens, however, she normally feels a bit guilty when someone is hurt. Sometimes, she can be a bit observant. When she encounters something that intrigues, she usually watches from a distance. She's not a person of many words. Zinnia prefers to not make friends because she's worried that they could possibly find out her true race, sooner or later. Because of her draconic traits, Zinnia is able to manipulate and produce fire that are at freezing tempatures. It is so cold, it burns to the touch. Zinnia is able to talk via telepathy. However, she rarely does. Her sight is not like the sight of a normal human. She can easily detect things from far away and see in harsh conditions, or the dark. Zinnia is capable of shifting into 3 different forms at will. Her dragon form, her human form, and half-dragon form. Not only is her sight hightened. Zinnia's strength is, also. Even for the height of her human form, she's not as venerable as people think. She can take in some attacks that may be lethal to others, or lift things that are heavier than her weight with ease. You can't say she's the best, but her cooking is decent. Zinnia has good reflexes. She can punish at ease. Sometimes, Zinnia steals items. Not a lot, only when she's scarce of supplies. Zinnia can thrive in conditions where a normal person could possibly freeze to death. Equipment: Nothin' much. Just two obsidian daggers she carries for protection. Half-Dragons. The offspring of a dragon and another race. To many, they are considered "abominations". Impure, sacred, abominations. A species never meant to be brought into such a forsaken world. Despite being even rarer than their draconic parents, there have been sightings of them. If so, they are often executed. People of this species are born for a number of reasons. Some dragons use their offspring as servants, to do deeds for them whether they are good or bad. Rarely, they are born out of pure love. Dragons are capable of taking on a human appearance. Some do this to intetact with others. Just like any other race, they are capable of love. Majority of the time, it's a dragon of a different gender, however, they can also fall in love with other races different from their own kind, such as elves or humans. In Zinnia's case, she was birthed by love. Zinnia's mother was a herbalist at a town. She had her own shop and would run it by herself. Sometimes, she would even get supplies herself. She was an independent woman, and a pretty one at that. One day while searching for herbs, she came across a man. He was dazed and wandered with no memories of his past. Being the kind spirit she was, the woman offered him to stay and help him recover. The man willingly agreed and stayed for awhile. As the months went on, the two slowly fell in love. They eventually gave birth to a child. However, right after her birth, he regained his memories and ran away. Apparently, the man was not a human like she had thought. He was a dragon.. It was obvious when she was born. Her appearance was nothing like a human baby's. 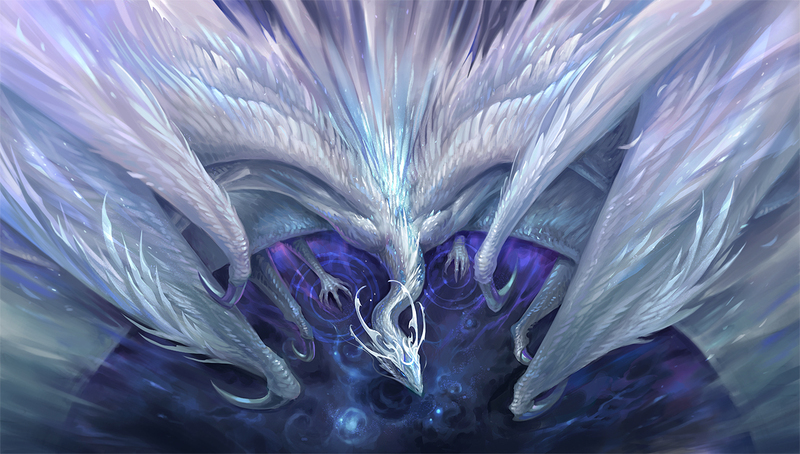 Throughout some parts of her body, white scales could be seen, she had feathered wings and horns. This child was not fully human. Being the abomination the child was, her mother grabbed a knife, about to take her life. However, killing wasn't the answer. Despite all of this, she still loved her lover.. She spared her life and allowed her to live. 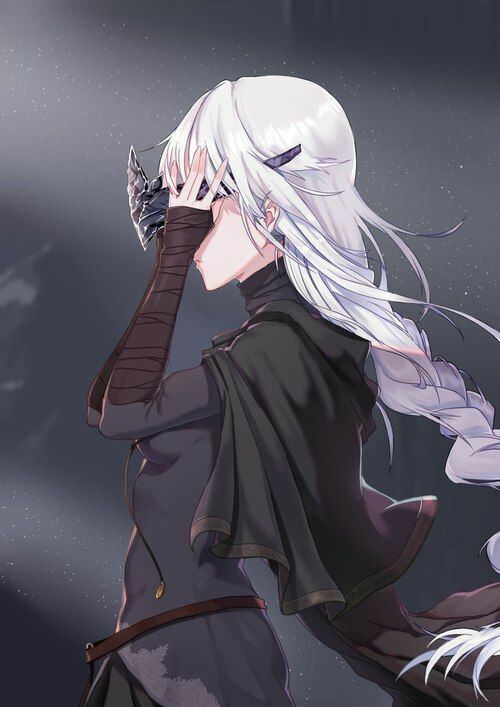 Majority of her life, the girl was hidden from the outside world until she was capable of hiding her draconic features. She seeks to find her father, one day..